It’s exciting when ministry really starts coming together as it has just recently. This being the first month of our second year, work is moving faster and language is going smoother. Our contact Paco, who once seemed uninterested in the Gospel, is realizing in the midst of tragedy exactly what the church has to offer. My neighbor Neftali who has gone back and forth in his views towards Christianity, is now bringing others to Bible studies and seems to personally be heading closer towards belief. Daniel who attends “Lets Start Talking” classes, has now invited his girlfriend to join us and so she also is learning the Gospel of Jesus. And then there is Gloria, who once seemed to go in one door and out the other, yet she has again returned to worship and seems to have renewed desire to stay and learn about Christ. Of course, it’s not just the nationals who are changing. Spanish really is becoming much more comfortable to Jessica and I. Just last week I saw tremendous growth in my language abilities in ways that I had not experienced before. With every conversation, every study, and every “get together,” things just keep getting smoother, better, and more efficient. 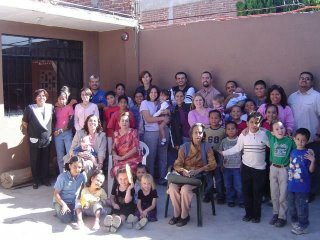 Before arrival to Leon, we as a mission team created a detailed plan for our work here. This plan involved developing large Sunday worship times, having one-on-one Bible studies, and forming small group studies weekly in our homes. With the quick success of our Sunday meetings and continued one-on-one studies, the house group study time had not “taken off” to the extent that was originally anticipated. As ministry now allows us to place more emphasis on these in-home studies, we are individually beginning to see our small group times start rolling. It is exciting for us as we start to share the Bible in the native language of Please pray as these groups continue to develop further here in Leon. In late October, Omar Palafox and myself made a quick run up to Lubbock, Texas to recruit coworker to assist in our work here. The AIM program, which I was part of from 1995-1998 takes students who desire to learn about mission work, and sends them to a mission field to work under a missionary. AIM made a powerful impact in my life and so choosing to work with the program is an exciting possibility for us. Lord willing, this May we will have fulltime helpers here to assist in our task of evangelism and church growth. Please pray for these new workers and the cities worldwide where they will be sent. As many know, Mexico’s version of Halloween has even stronger ties to religion and paganism than the often secular version celebrated in the States. This being the case, we wanted to offer a good alternative for those in Leon who have reservations towards the holiday while still desiring a good time for the kids. The idea for a festival was decided upon and seemed to bring us exactly what we were looking for. Our October festival was filled with fun games, a cakewalk, lots of prizes, and of course, tons of candy. Following the Saturday evening event, we had a large group of kids show up for worship, which was exactly the outcome we had hoped for. Of course, we look forward to future opportunities to show the community how much fun Christians can have together. Since we have finally reached forty people worshipping on Sunday, and have been around that number throughout the month, we recently realized that there are some major developments that need to take place to accommodate such numbers of people. We began preparations by knocking out our largest opponent to growth, a concrete wall in our auditorium that limited us to around 50 worshipers. Next we purchased another batch of twelve chairs, which brings us to around 55 seats. 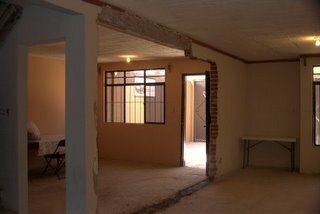 Since knocking down walls takes away classroom space, we have finally expanded to our second level where we are holding the youth class. Starting in December, I will be the teacher for a new kids class that will further accommodate our growing numbers of kids. Also, we have begun putting our songs on an overhead projector due to insufficient numbers of songbooks. These are a lot of changes, but we feel that they were necessary for growth. Jazmin, one of our members, was featured in the Christian Chronicle last issue, as she decided recently to accept Christ. As one of our college aged students, Jazmin grew up in Toluca , Mexico where she knew of Christianity through her parents. When the time came for her to begin a University, Leon offered exactly what she needed for her specific field. We were blessed when Jazmin began worshipping with us last school year and found a Christian home at our congregation. Later this summer during the school break, Jazmin accepted Christ as her Lord and was baptized back home for her parents to see. Please pray for Jazmin and her new walk with Christ. As we prepare to wrap up 2005, we thank God for your service to our work. 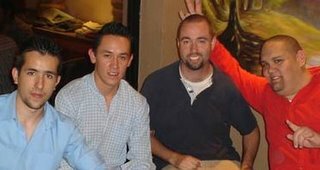 Because of you, we were able to arrive in Leon and start a work in this city that is largely Catholic. Because of you, we were able to build only the second Church of Christ building in a city of two million. Because of you, Christ is being preached and the people here are responding. Thank God for your sacrifice and work for us to be here. 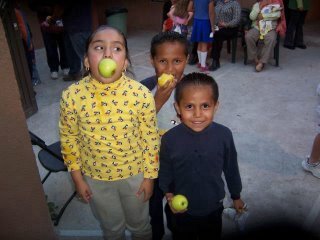 You are changing the religious landscape of Mexico with your service to our work.